A plane crash can devastate your finances, and you can be certain that the insurance company won’t be eager to fully compensate you. Work with a Boise plane accident lawyer, and ensure that you get what your claim is truly worth. According to the National Transportation Safety Board, small plane accident rates have risen while accident rates for commercial planes have mostly held steady. A variety of factors can lead to small plane accidents, including pilot error, weather, an equipment malfunction, and more. As a plane crash is bound to result in substantial injuries and damages, you’ll need to hold the responsible party accountable for the losses you have suffered. A Boise plane accident lawyer from Craig Swapp & Associates can protect your rights and help you seek the financial compensation you are due. Working with a Boise plane accident lawyer can help you determine who caused your accident. This is not always clear as there is often more than one party to blame in these tragedies. For example, while the pilot may have made an error, if the airplane was not properly maintained, the ground crew could also bear partial responsibility. Our job is to determine who is to blame so that we can file a lawsuit on your behalf accordingly—even if more than one party is named. An error in judgment; a lack of pilot experience; and distracted, tired, or drunk piloting could all make the pilot at fault for the crash. If the ground crew did not properly prepare the airplane, forgot to refuel it, or did not attend to known problems, they could be negligent and responsible for the crash. The airport and air traffic controller both have a responsibility to work with the pilot on setting a safe course and ensuring that the weather is safe enough to fly. If they failed to do so, we may be able to name them in the lawsuit. At times, it is the actual airplane or an essential part that was faulty. Manufacturers have a duty to produce safe airplanes and equipment. Failure to do so makes them liable for any subsequent damages and injuries. If the airplane was owned by a business other than the pilot and they knew that there was a safety problem but allowed the plane to fly anyway, they could be negligent. Once we have determined fault, a Boise plane accident lawyer from our firm can file a personal injury lawsuit on your behalf. We will seek compensation for your injuries and hold the guilty party accountable. At any time during this process, your case can settle through out-of-court negotiations if the insurance company is willing to make a reasonable offer. You won’t want to accept the first offer they make, however, as insurers will almost always try to get you to settle quickly and for less than what you truly deserve. With our help, you will receive as much compensation as possible for your aviation accident claim. The attorney you hire to represent you will make a significant impact on the results of your case. Naturally, the more experience a law firm has, the higher the chances of you receiving a favorable settlement. Our years of experience make it possible for us to provide you with the highest caliber of legal representation, and we are confident in our ability to represent you both in and out of the courtroom. 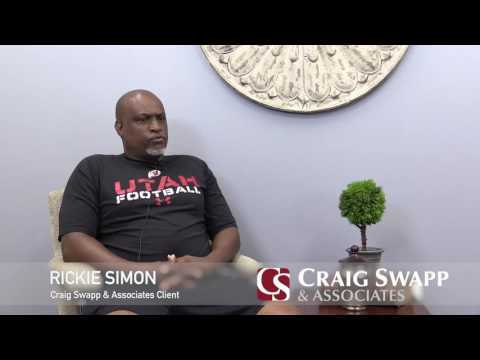 To get your questions answered or to begin the process of filing a lawsuit, simply call 1-800-404-9000 or complete the form on this page to speak with a Boise plane accident lawyer at Craig Swapp & Associates.